After the enormous success of HIFF2017, both in terms of business turn over and complete satisfaction of exhibitors and visitors alike, HIFF 2018 is gearing up to put forth the largest ever finished furniture exhibition in India showcasing leading brands of home furniture, home décor, home textiles, outdoor and office furniture, machinery and raw materials. In order to include the projected 500+ exhibitors for HIFF2018, the event will be held at ADLUX international convention center (Kochi), with a bigger and more impressive floor layout and amenities to support the stalls and visitors. HIFF 2018 is getting ready provide yet another mesmerizing exhibition. Exhibiting at HIFF is definitely the most efficient, effective and successful marketing tool to generate years of business prospects in just three days. 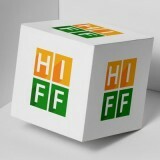 HIFF Trade & Events Pvt. Ltd.